Uniform Shirts manufacturers in Chennai !! Are you in need of customized uniform shirts for your brand ? 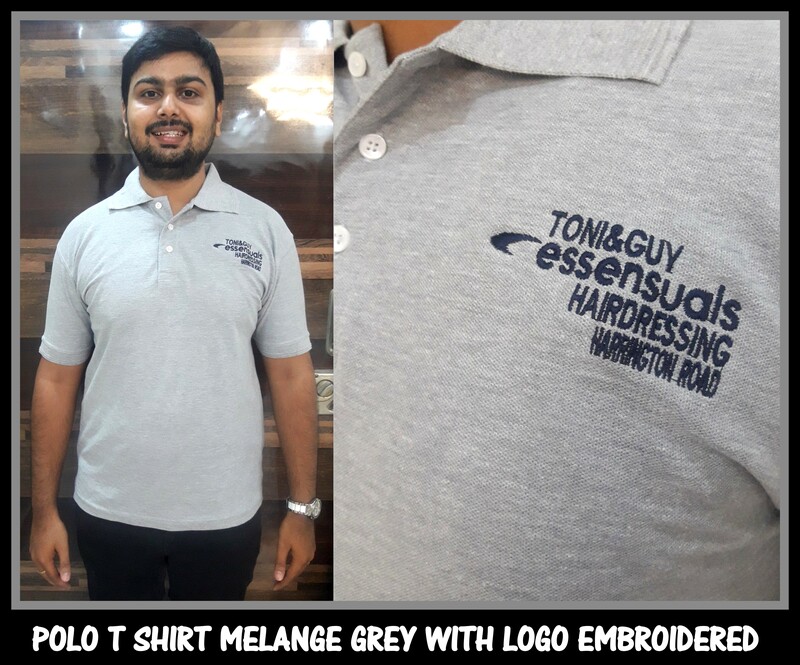 Look no where call us now and we would make customized uniform shirts in endless possible designs with your brand logo embroidered or print. Call us now with your uniform shirt and trouser requirement and we would be glad to help you with your uniform need. You can also fill the enquiry form on our blog http://www.chennaiuniform.com or our website http://www.chennaiuniforms.com. We would be happy to help you with your bulk uniform requirement. What are you waiting for call us now at 9176634635. 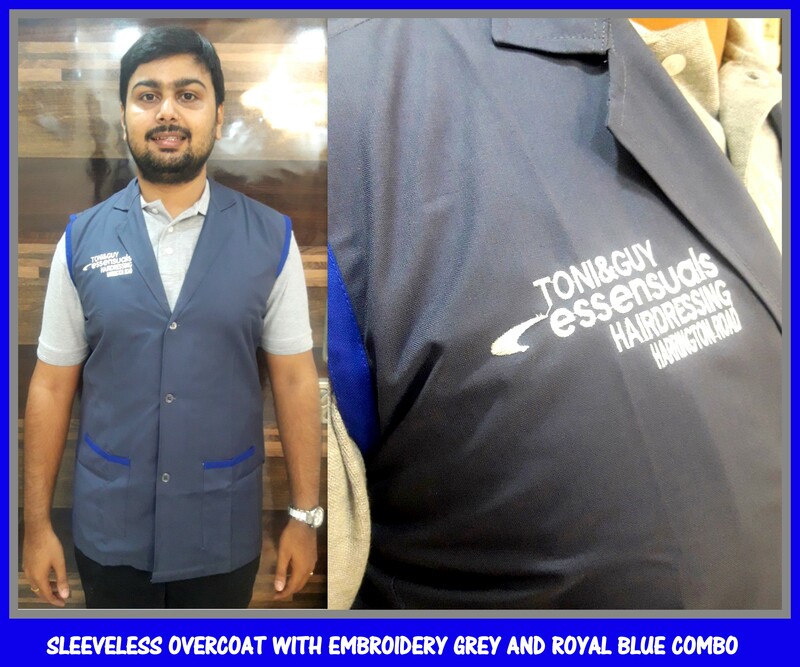 Customized uniform shirt in Chennai !! 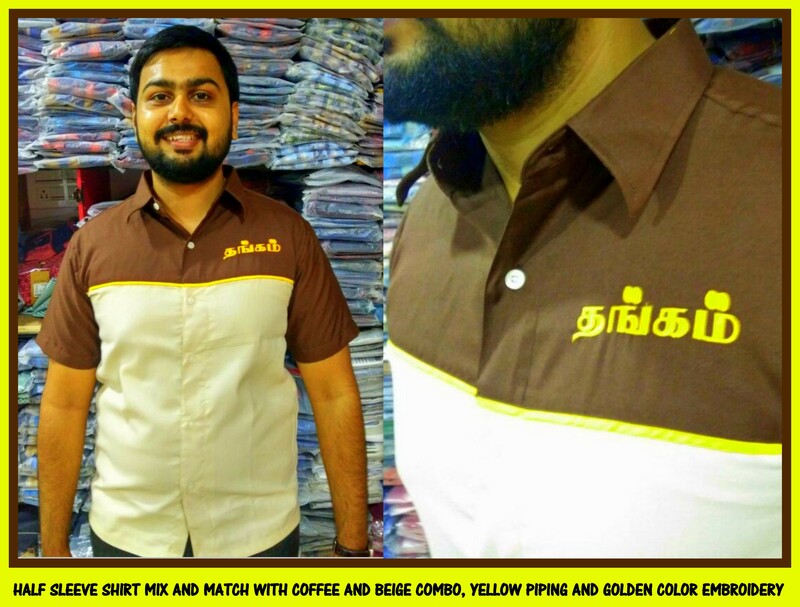 Here is a customized uniform shirt made for a wedding hall staffs in Chennai. The shirt has two layers separated with a piping. The top fabric used is a dark coffee color poly cotton solid cloth and the bottom cloth used is a beige color chambray cloth. There is a yellow piping provided in between and the logo embroidered is in yellow color. If you have any customized requirement of uniform call us now with your sample. The image can be taken from internet too and we would let you know the closest possible match of uniforms that we can provide you. Happy to assist you with your bulk uniform requirements. Call us now at 9176 634 635. Unifom plain polo T shirt sellers in Chennai !! 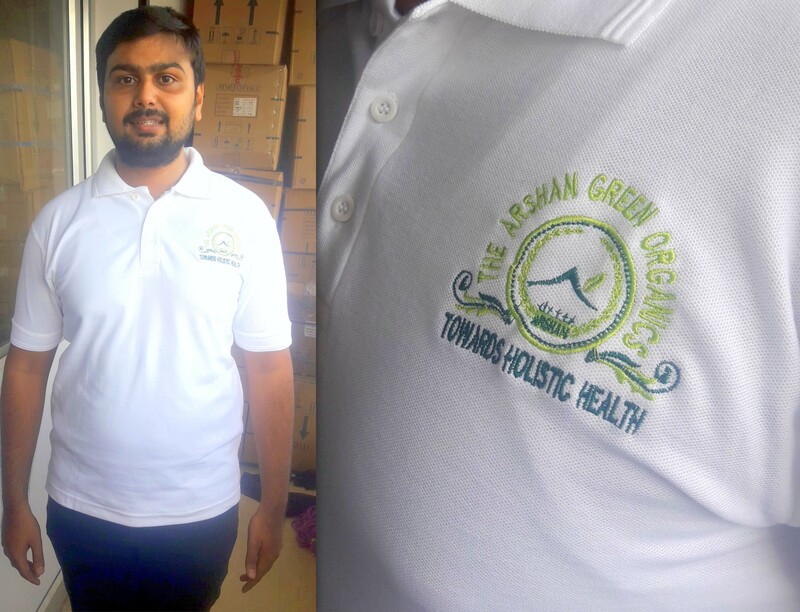 Uniform T shirt made for a organic store in Chennai. The T shirt quality is 100 percent cotton with collar and had embroidery done on chest and also at the back. The image was sent to us on whatsapp on our number 9176 634 635 and the requirement was on call. The embroidery was done using japanese barudan machines and the parcel was couriered to the desired location. Call us now and we would be happy to help you. Satyam scan center Kanchipuram has been a customer of RSM Uniforms since three years now. 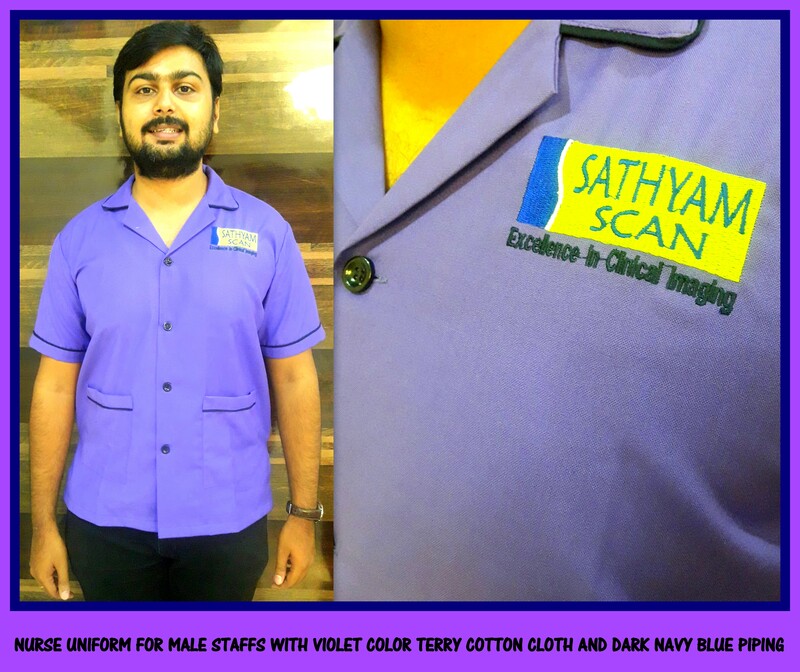 This time the management of satyam scan center approached for a customized violet color uniform as per there requirement they had taken from internet. The violet color matching closest to there need was chosen in a terry cotton material which is best suitable for uniform coats and the uniforms in different sizes of S, M, L and XL were made. The gents uniform had the piping only on the collar. Similar to this the ladies uniform top had the piping going across the collar covering the edge upto bottom of the shirt. The logo was embroidered on the garment using computerized embroidery machine. 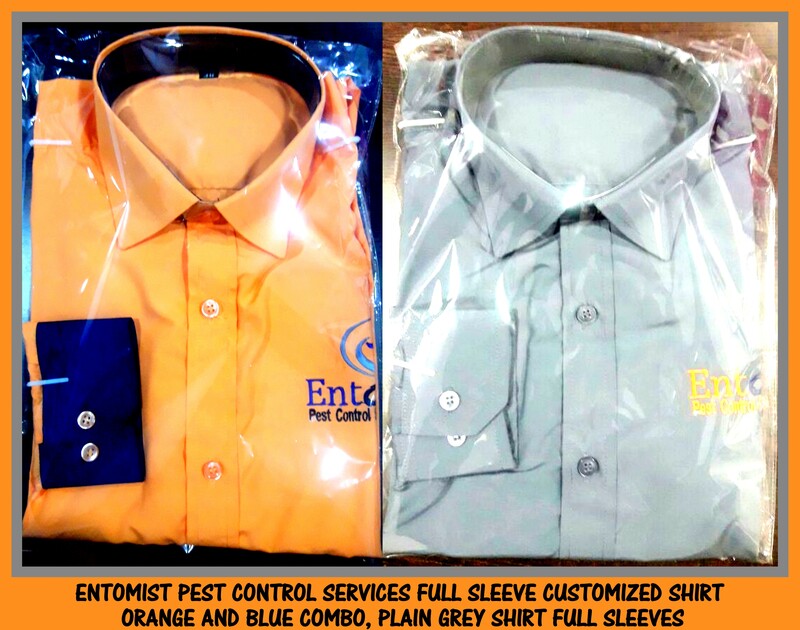 For your customized requirement of uniform tops come up with a image to us and we would be glad to help you. Call us now at 9176634635. There has been many speculations on current years government school uniforms in Tamilnadu. The below are the two colors of shirting proposed for government school uniforms. RSM Uniforms is not 100 percent sure on the pattern of the uniform and also on the effective date from when this uniform will be implemented. The proposed government school uniforms will be implemented subject on approval. We will have to wait for the next official news from government.